The Command PRO EFI ECH440 controls and manages the exhaust through the closed-loop system, thus burning the proper amount of air. Kohler's 14 hp Command PRO EFI ECH440 single-cylinder engine that integrates closed-loop electronic fuel injection technology (EFI) brings the benefits of Kohler EFI — including enhanced fuel efficiency, greater overall reliability and easier starting in harsh conditions — to a wide variety of equipment, such as generators, chippers, concrete saws, welders, utility vehicles, stump grinders, air compressors, tillers, water pumps and more. The Command PRO EFI ECH440 controls and manages the exhaust through the closed-loop system, thus burning the proper amount of air. This control notably extends the life of the engines. The Command PRO EFI ECH440 offers better fuel economy than similarly sized carbureted engines, according to the manufacturer, and also saves cash at the pump and time on refueling. The starter is one of the key feature of this model: the Command PRO EFI ECH440 starts like a car, with no choking. There is no carburetor, so there is no carburetor downtime. From there the closed-loop electronic fuel injection system gets the most from every ounce of fuel. Therefore, the equipment is always running — and earning — and end users are more productive. The engine also is more reliable because it has no carburetor and no choke, and the EFI diagnostic software, sold separately, provides quick and easy troubleshooting to minimize downtime, according to the manufacturere. The experience of Kohler on EFI (electronic fuel injection) system is rooted in history. 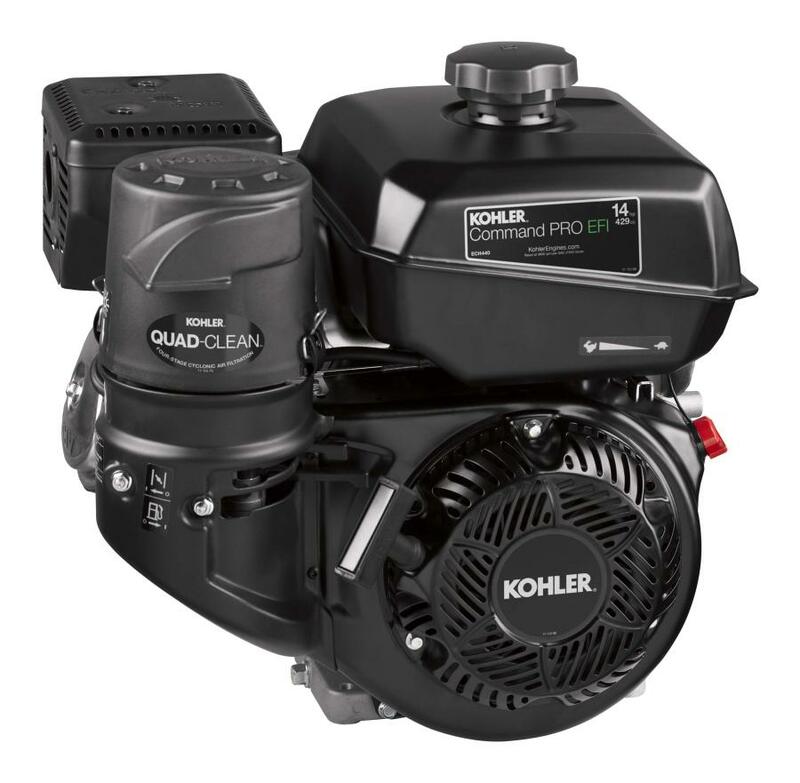 Kohler released the industry's first closed-loop EFI system in 1996 and the industry's first engine mounted EFI system in 2009. Now, Kohler has more than 30 EFI models and offers the expertise gained over the last 20 years to serve application manufacturers.. The Command PRO EFI ECH440 also offers quiet, stable performance and features a three-year limited commercial warranty. For more information, visit KohlerPower.com.